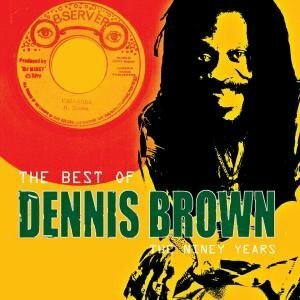 This week’s show starts out heavy in a roots vein, with artists like Dennis Brown, Marcia Griffiths, Culture and The Ethiopians. The vibe really picks up with Black Uhuru’s classic “Fit you haffe fit”, featuring Jr. Reid mashing it on lead vocals. New music selections on this week’s show include Fantan Mojah’s new tune on the Jaguar Riddim, and new songs from Luciano, Sadiki, Alborosie, Nesbeth, and Lutan Fyah. All this rounded out with all time greats from Garnett Silk, Nasio Fontaine, Little John, a very blessed tune from Jamelody to end the show, and much more. Thanks for tuning in. Until next time, JAH BLESS! This entry was posted on December 5, 2010 at 8:49 pm and is filed under Downloads, Radio Shows with tags Reggae Radio. You can follow any responses to this entry through the RSS 2.0 feed. You can leave a response, or trackback from your own site.